[MPAA/Certificate]: for sexual content including an assault, some language and brief drug use. Directed by Joel Edgerton. With Lucas Hedges, Nicole Kidman, Joel Edgerton, Russell Crowe. 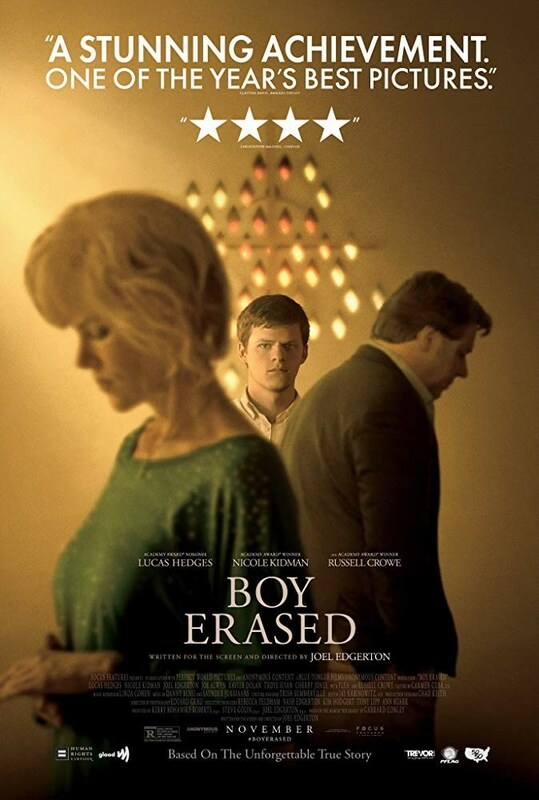 The son of a Baptist preacher is forced to participate in a church-supported gay conversion program after being forcibly outed to his parents.